The death of a public figure is always followed by an outpouring of emotion. Despite not personally knowing the person who has passed, fans across the globe may find themselves mourning a celebrity who touched their lives in some way. Some stars are so beloved that they have mega funerals, with thousands attending the service, and millions watching the memorial tributes from home. These services are marked by influential and celebrity guests, musical tributes, speeches, and fans outside the funeral with signs and messages of condolence. 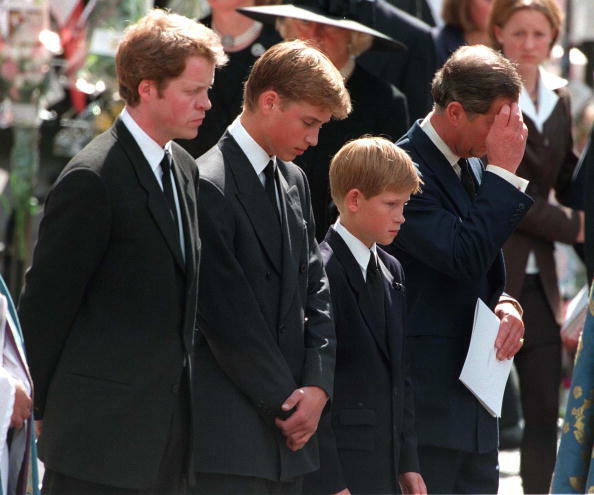 Princess Di's funeral is estimated to have had over 31 million British viewers, and up to 2.5 billion viewers worldwide. 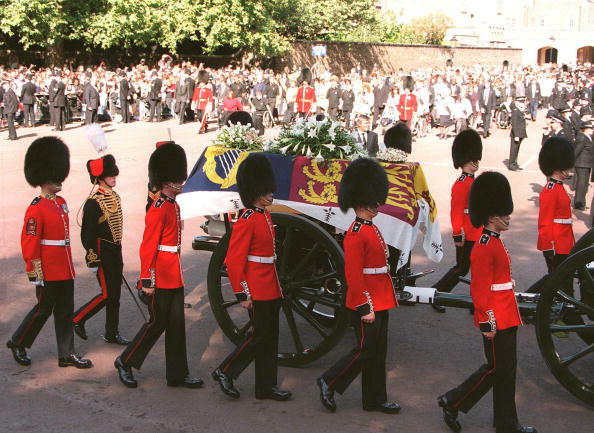 The service drew much attention across the globe, due to Diana's popularity (she was known as "The People's Princess"), as well as the terrible circumstances surrounding her death. Her funeral was a royal ceremonial funeral (though not a state funeral), and lasted over six hours. The ceremony itself was held at Westminster Abbey, and lasted just over an hour. It was attended by notables such as Margaret Thatcher, Hillary Clinton, Tom Hanks, Steven Spielberg, Sir Elton John, Richard Attenborough, George Michael, Tom Cruise and Nicole Kidman. 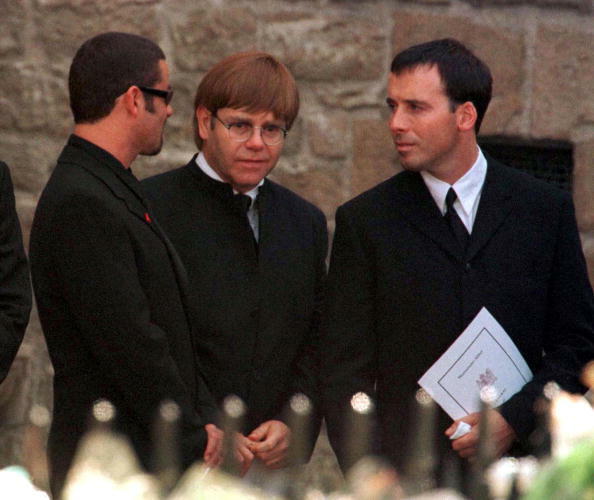 Elton John famously re-wrote his song "Candle in the Wind" for Diana, and performed this new version during the service. A heartbreaking and historic occasion, Diana's funeral was one of the most tragic rebukes of paparazzi and the royal family. Princess Diana touched hearts around the world, and her funeral stands out as one of the largest outpourings of public grief in history. 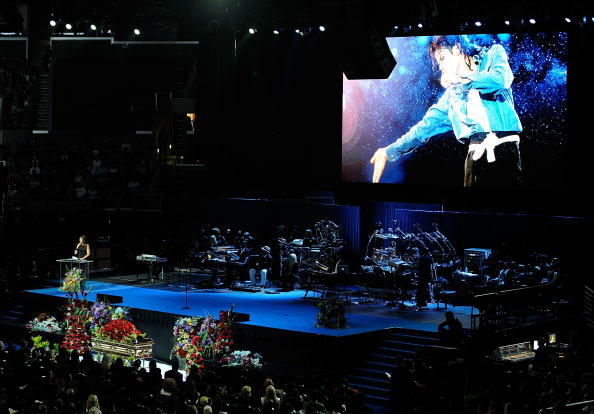 Michael Jackson died on June 25, 2009, and on July 7 a public memorial was held at the Staples Center in Los Angeles, following a private ceremony for family. The memorial of the King of Pop Michael Jackson had approximately 17,500 guests in attendance, as well as the estimated 2.5 – 3 billion viewers watching the television broadcast from home, making it potentially the most watched televised funeral. Though Diana's funeral is widely considered to be the most watched televised memorial in history, Michael Jackson's memorial rivalled (if not exceeded) these ratings, but it depends who you ask. 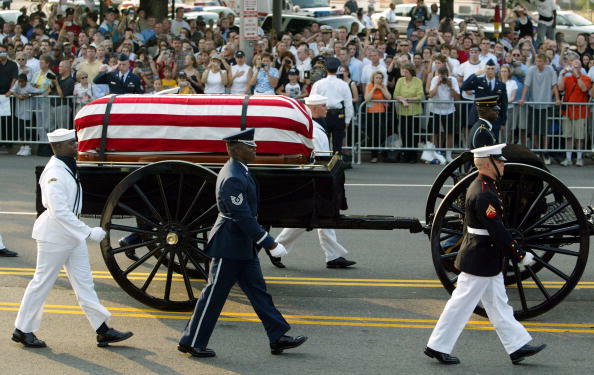 Nielson Ratings estimated a 31.1 million viewers watched the funeral live. Other sources put the final (current) number close to 2.5 or even 3 billion viewers. 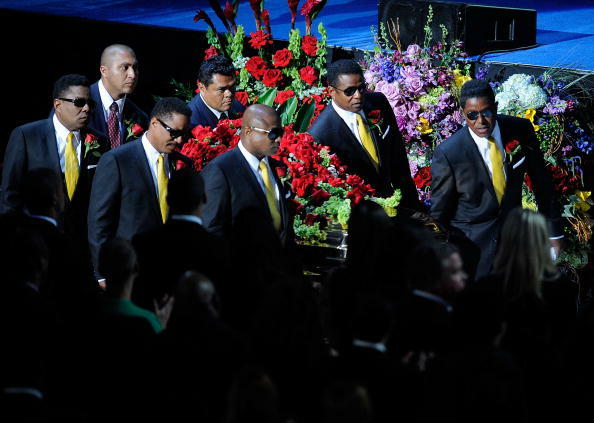 Jackson's memorial was star-studded, with the guestlist including Lionel Richie, Stevie Wonder, Queen Latifah, Mariah Carey, Smokey Robinson, Kobe Bryant, Magic Johnson and Usher, among others. Performances by Stevie Wonder, Mariah Carey, Jennifer Hudson, John Mayer, Usher, Jermaine Jackson, and singers from Jackson's This is It Tour. Though his death brought grief to a nation that grew up listening to hits from his Jackson 5 and solo career, it also brought a barrage of mixed emotions for fans and viewers. Jackson had frequent legal troubles and faced several accusations of sexually assaulting children across multiple decades, making it difficult for many to know how to feel about the loss. This was addressed by eulogist Sheila Jackson-Lee, who reminded mourners that he was never found guilty of these charges. More allegations have come to light posthumously. Ultimately, the musical memorial gave family, friends, and fans the chance to say goodbye one final time. Ronald Reagan passed away on June 5, 2004, and a seven-day state funeral was held in his honor. At the time of his death, he was the longest-living president in United States history. Reagan's body was transported from the funeral home to the Ronald Reagan Presidential Library, where thousands came to view his casket and pay respects following a private family ceremony. From there, his body was flown to Washington, and then a funeral procession carried Reagon up the steps of the Capitol, where dignitaries and paid tribute to the late former president. There was a public viewing where over 100,000 members of the public paid their respects. Following the public viewing, a state funeral was held and televised. 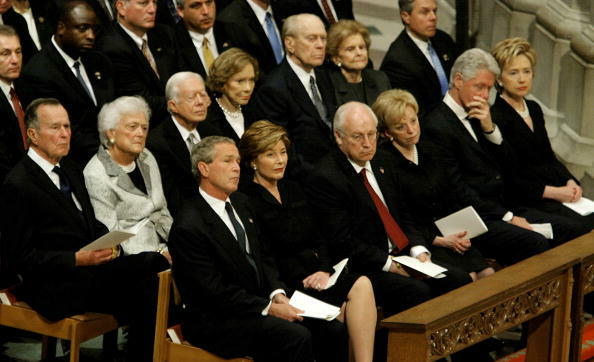 It's estimated that up to 35,700,000 viewers watched as Margaret Thatcher, Queen Elizabeth II, Tony Blair, then-President George W. Bush, Paul Martin, Brian Mulroney and Jacques Chirac delivered eulogies. His remains lie in state in the Rotunda of the United States Capitol, facing west, toward California as per his wishes. Televised funerals offer fans and well-wishers the chance to mourn and say goodbye to public figures from afar. However, these types of memorials are often criticized for being too well orchestrated, with every word and tear carefully rehearsed. Ronald Reagan's funeral was so large and widely publicized that many felt the grandeur went beyond the realm of being respectful to the dead. Despite the controversy, these moments of goodbye offer the public a chance to see the end of a historic person's journey, and the people that loved them. These funerals offer a video record of the end of an iconic individual, whose life work changed the world.